I adore corn tortillas. 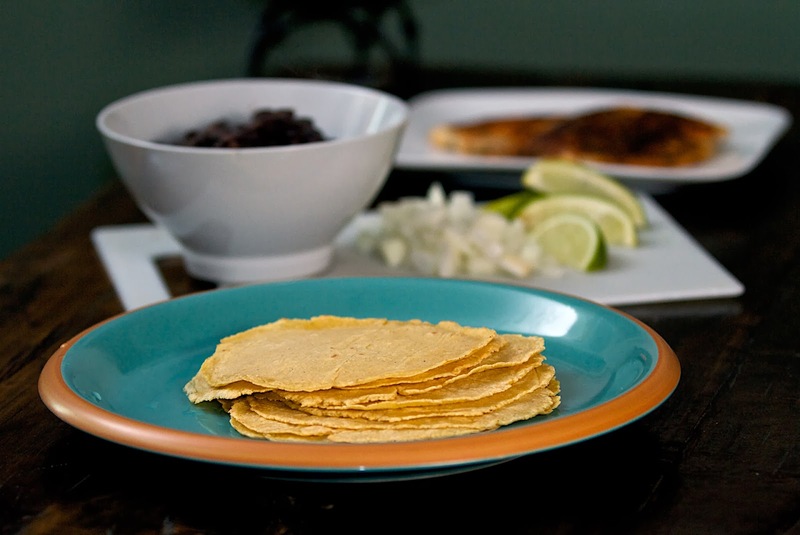 To me, there is nothing like a fresh, warm corn tortilla for tacos or enchiladas. Up until this point, I'd gotten by with store bought varieties. But now, that's all changed. 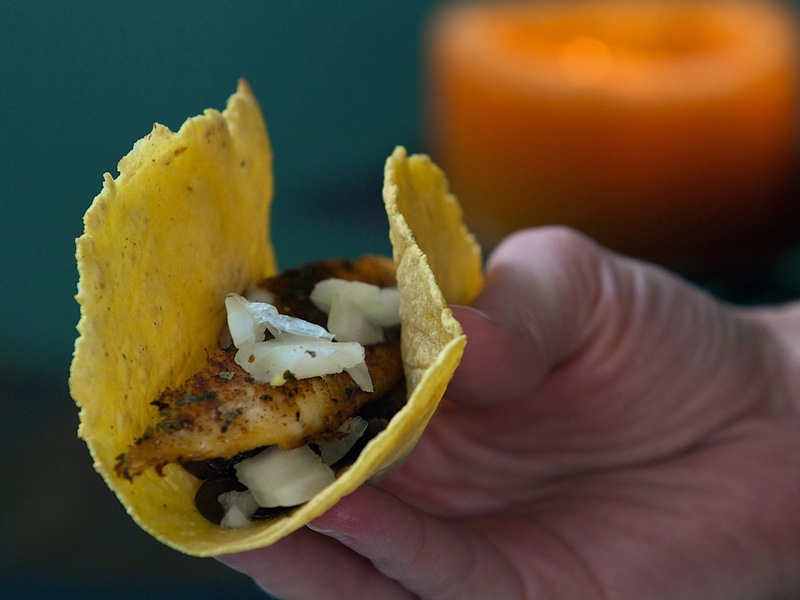 Once you've made homemade corn tortillas there is just no going back. I cannot believe I put off making my own corn tortillas. I had the misconception that (1) you needed special equipment, i.e. a tortilla press, and (2) lots of time. I was pretty much wrong on both counts. All you need is masa harina, some water, parchment paper and little time (not a lot). You don't need a fancy tortilla press. As I discovered, a big ol' heavy pan and a rolling pin will do the job. My cynicism when reading other bloggers write about making their own tortillas has been completely obliterated. They weren't lying. From now on, homemade corn tortillas it is. In a medium bowl add 1 cup masa harina. Masa harina is a very finely ground corn flour made from corn that has been dried, cooked in lime water, ground up and dried again. The lime water is what gives it a distinct taste. I used Bob's Red Mill Brand (no product sponsorship just my preference when it comes to store bought specialty flours). Sprinkle in 1/2 teaspoon salt. Pour in half a cup of water. 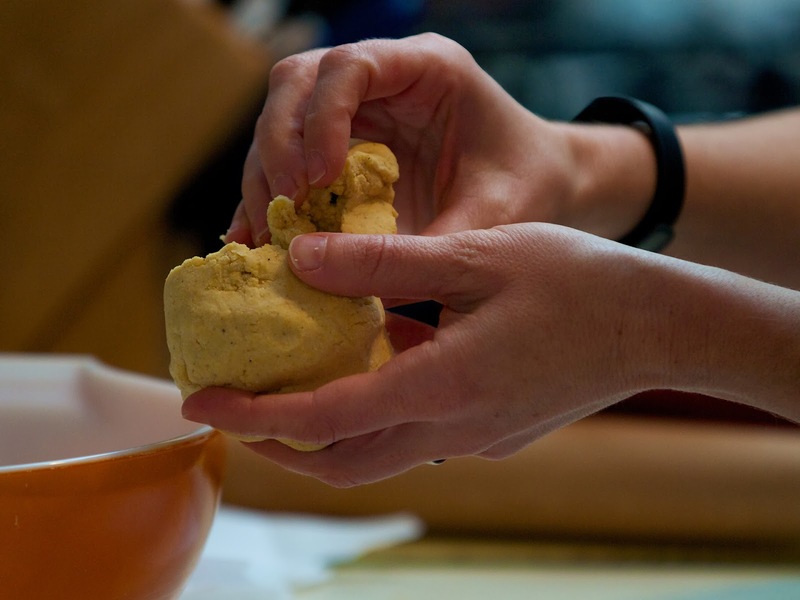 Stir that around with your hand and begin kneading until the dough comes together. The consistency you're going for is a firm Play-Doh that's slightly damp. If the consistency looks/feels a bit dry carefully add a little more water. I wound up using about 3/4 cups of water. If you accidentally add too much water, then just carefully add a bit more masa harina. Once you have the right consistency. Make 1 1/2 inch to 2 inch sized dough balls. 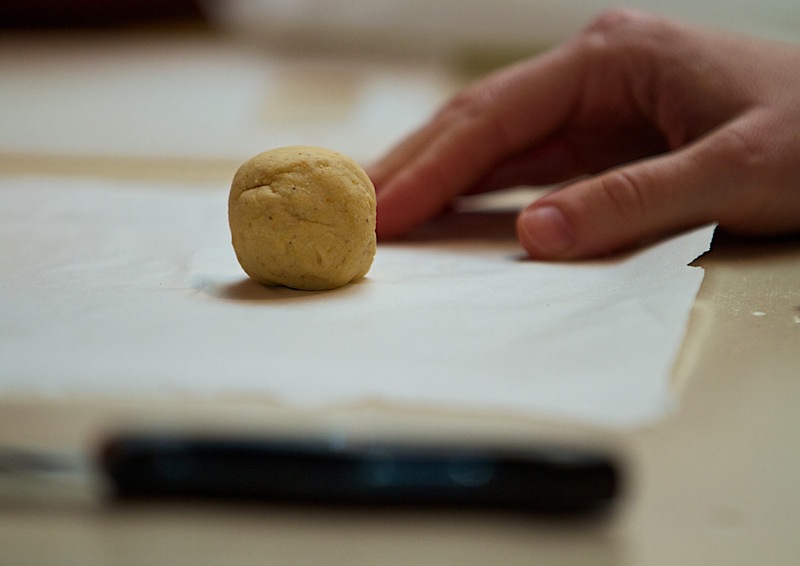 Place one ball between two sheets of parchment and, holding a heavy pan, use your body weight to flatten the dough. 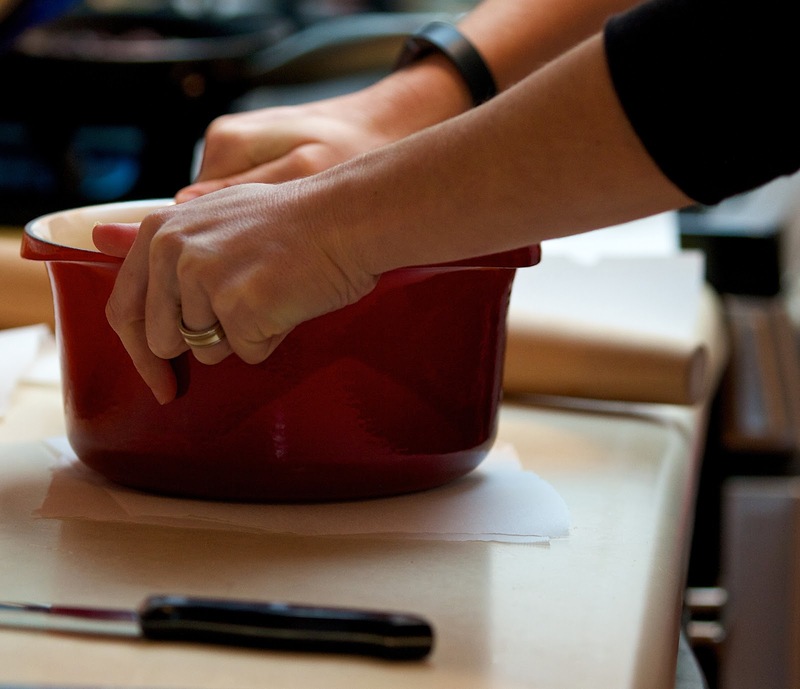 You want the dough to be about 6 inches in diameter and about 1/8 inch thick. I couldn't quite get it that flat with just the heavy pan so I gently finished with a rolling pin. 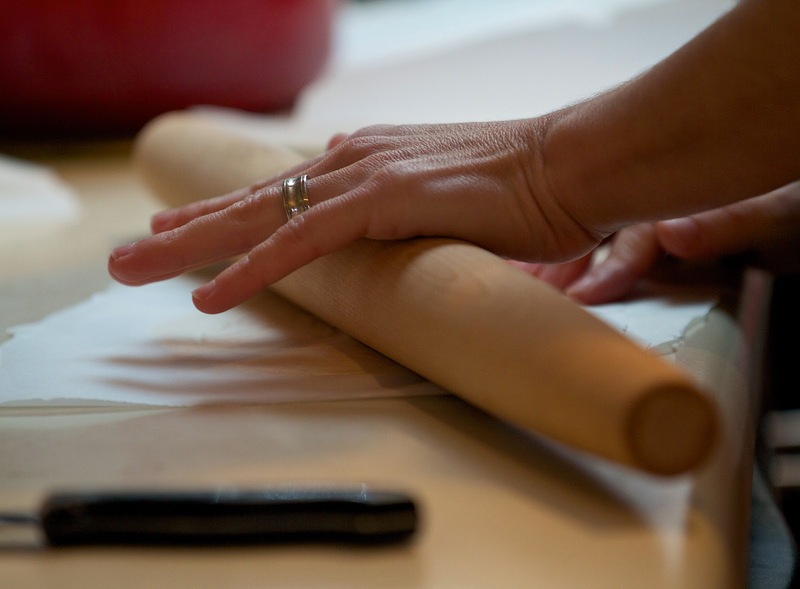 Keep the dough covered with parchment and roll in varying directions to keep it in the circular shape. Until I got the hang of it I did get a few that weren't so much round as slightly oblong. Continue this process for each dough ball. 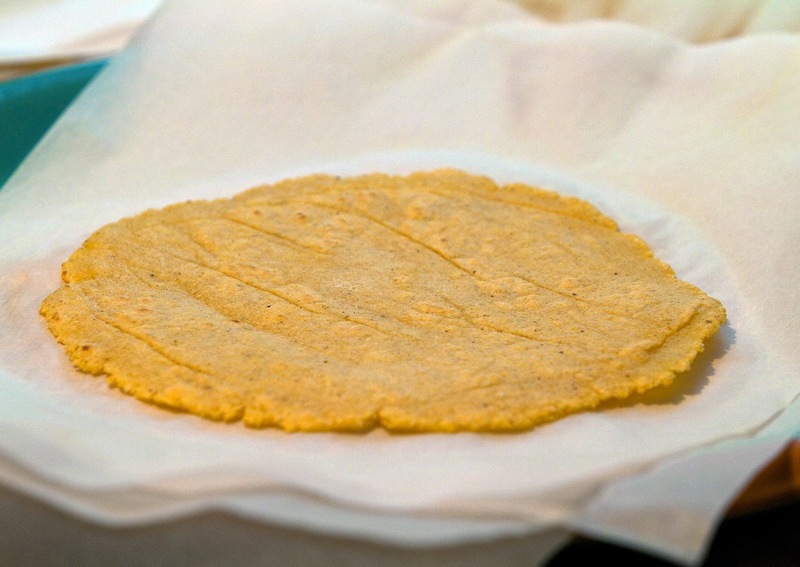 Stack the flattened tortillas still sandwiched in parchment so they don't stick together. Now heat up a non-greased griddle or skillet until you can barely hold your hand over it. 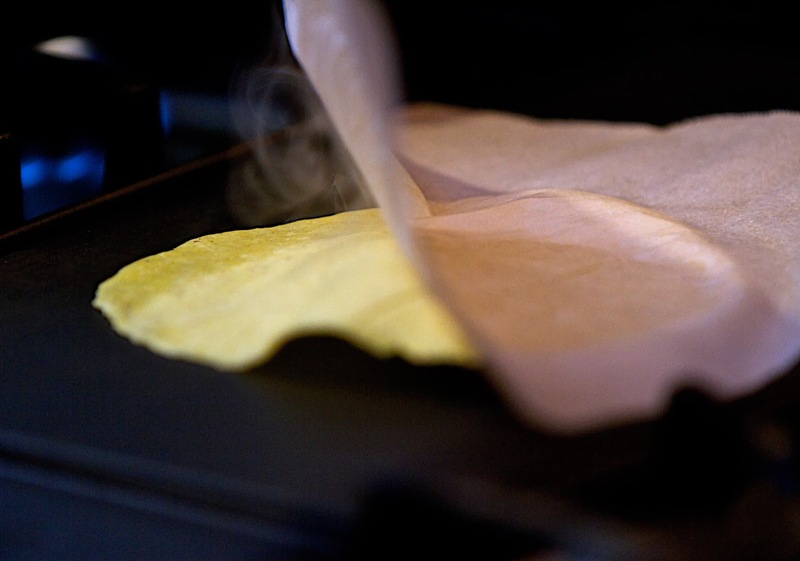 Carefully peel one side of parchment off one tortilla and drop it face down onto the hot griddle. Cook for about 45-50 seconds. Peel off the top piece of parchment and flip. Cook for another 45 seconds. 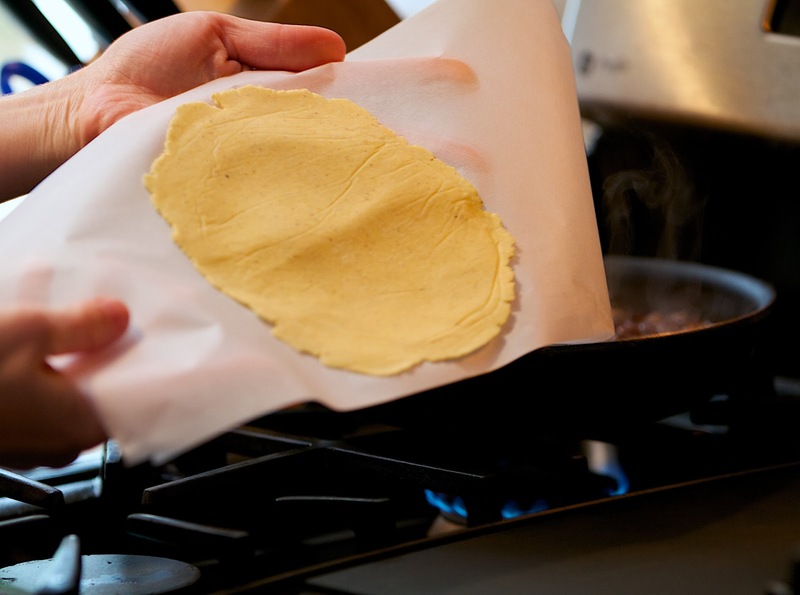 Place the cooked tortillas on a plate with a piece of parchment paper between them and cover the whole plate with a towel. Keeping them covered is really important. You don't want them to dry out and crumble when you go to roll them. Keep going like that until all of the tortillas have been cooked. Serve immediately. Now you have delicious fresh corn tortillas for tacos or whatever! Easy right?! Have you conquered any kitchen recipes recently that you initially avoided?